When you hear the word TESOROS what comes first into mind? For others right for an instance TESOROS = Native embroidery and native products but for the young generation this would be clueless. Young generation today are too busy with gadgets and the fast phase lifestyles. This is where it comes “Salud S. Tesoro: The Story of a Successful Entrepreneurial Filipina” is available only through TESOROS Makati. The launch of her book about her life whose legacy will forever be part of the Philippine handicraft industy. Not everybody knows the story of Salud S. Tesoro who she was, what motivated her, and how this great lady with a great mind and an even greater heart came to be. With Salud Tesoro she was always supportive of the artisans whose industry have sustained our traditional crafts and welcomed new designers whose innovation passed her keen eye. Tesoros helped the Philippines earn its spot in the global marketplace. She nurtured and supported the Filipino designer and the Filipino craftsman in promoting their products both in the local and international. 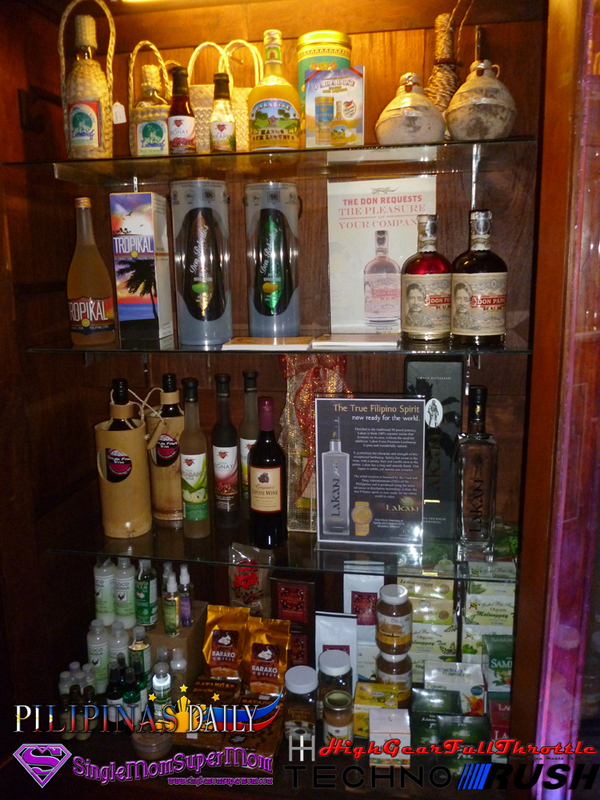 What can you find at Tesoros? Once you enter Tesoros you will be welcomed with photos and replicas that would relate to Salud Tesoro. In the shop there are lots of products from native hand-woven bags, bamboo chimes, Capiz bag to barong and native delicacies. TESOROS offers shopping convenience through its website where customers can make online purchases tailored to their needs, both locally and internationally. Customers can choose from the classic pasalubong souvenirs and its Filipiniana apparel collection. But more amazing products–such as coconut shells with hand-painted indigenous Filipino group imagery, polished carabao horn home décor, luminous contemporary capiz chandeliers, peppy table linens embroidered with mangoes and bananas, embroidered denim ladies’ handbags, and the Everyday Filipiniana Ramie-Retro fashion collection– are now available at all TESORO outlets. By taking the market to the next level, TESOROS proves that Salud Tesoro’s legacy is not only preserved, but practiced–from its wide assortment with friendly prices, to the guarantee of quality, to its promotion of local talent, tothe way it values its employees and partners, all while serving the changing needs and expectations of the Filipino people and visitors to the country. What about the Tesoros Book? “Through this book, one would appreciate TESOROS’ roots and vision,” said TESOROS Group CEO, Maria Isabel “Beng” Tesoro, the youngest of the ten children of Doña Salud. “It relates the core values instilled by our mother. Those values inspire us to constantly bring out the best Filipino works: to sustain traditional art forms by nurturing respected craftsmen, and to expand our reach and relevance by supporting creations of young upcoming designers, all the while maintaining the highest quality standards and hospitable service that our mother made TESOROS famous for,” she added. The TESOROS of today communicates its commitment to uphold Filipino artistry through an event series featuring re-interpretations of Philippine folk art, called “Disenyo at Talento.” This has widened the reach of An Alcantara’s hand-pinched terra-cotta Clay Storyteller Dolls and Mary Velmonte’s papier-mâché Taka creations, which are nowfor sale at TESOROS branches nationwide. 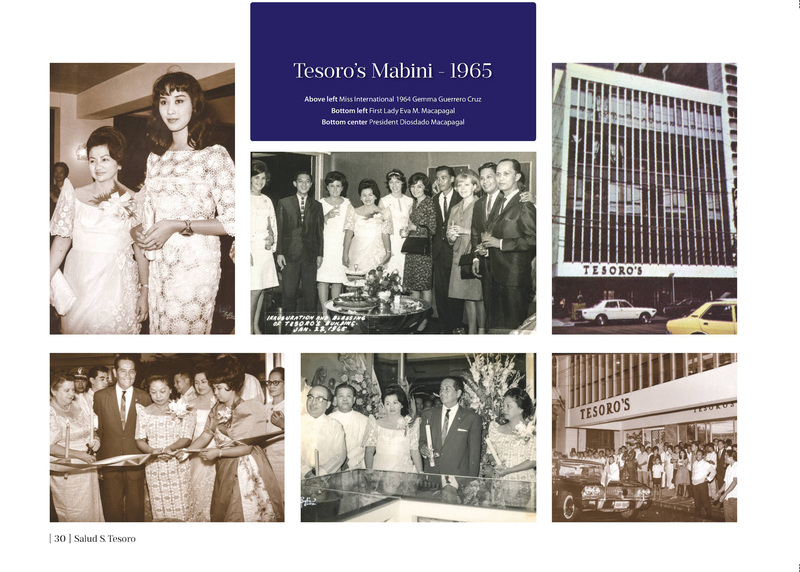 To find out more about Salud’s story and her legacy in “Salud S. Tesoro: The Story of a Successful Entrepreneurial Filipina,” visit TESOROS at 1016 Arnaiz Avenue (formerly Pasay Road), Makati City. 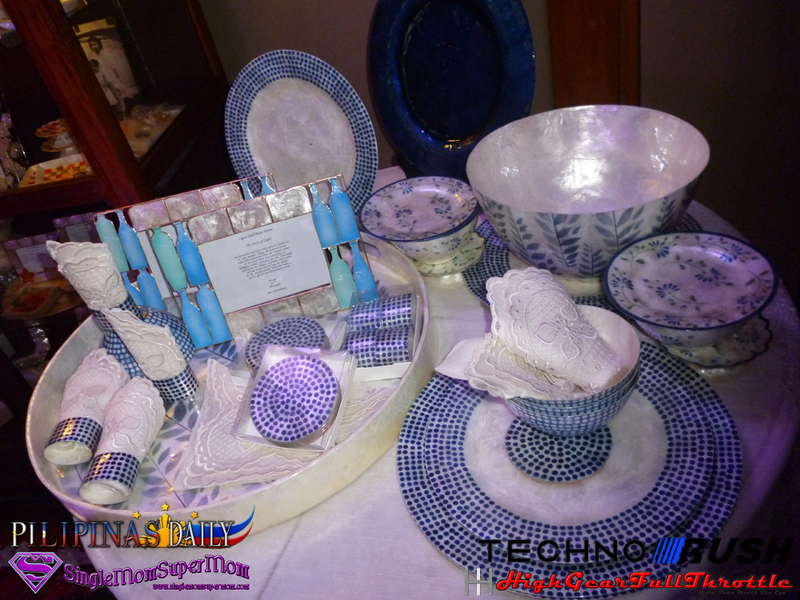 To learn more about the company’s new products and upcoming events, email info@tesoros.ph or tesoros@tesoros.ph, visit http://tesoros.ph/, or like their official Facebook page: https://www.facebook.com/tesoroshandicrafts?fref=ts.